At the time I posted the second article in this series, deer and elk had already converged on the alpine and their traditional summer areas­, WAY ahead of schedule. Like I mentioned, this year–for many of us–is far from normal, with a good portion of the “abnormality” being the direct result of this past winter’s snowpack–or more precisely, lack thereof. 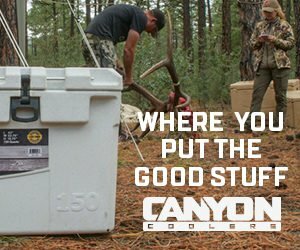 In this article, I’ll talk about how a previous winter can affect summer conditions and forage availability (and ultimately deer and elk activity and habitat use), and then take a look at how this summer has progressed and identify a few points of consideration for those of us out there scouting and planning for our upcoming high country hunt. In order for deer and elk to maximize their body condition, lactation, antler development, etc. during the summer, they need ample, high quality forage. In order for there to be ample, high quality forage, the plants that they select to make up that “forage” have to have warm sunny days, and plenty of water in order to maximize their production. In relevant part, and in general, insufficient water (aka soil moisture) equals insufficient forage (either in quality, quantity, or both) which leads to deer and elk either not reaching their full potential–OR–them moving to an area that DOES have sufficient–or at least better–forage quality and/or availability. For this conversation, it’s not hard to wrap our heads around the fact that–in general–the more snow on the mountain you have going INTO summer, the more water/soil moisture you’ll have DURING the summer (at least early on), which should result in more and higher quality forage for deer and elk. Unfortunately, however, that’s not the complete picture. Snow/water equivalent (i.e. how much water is IN the snow), and how fast the snow melts are two other very important factors to consider when trying to “predict” what summer conditions (at least early- to mid-summer conditions) are likely to be. In many areas, the winter of 2010-2011 was a long one. But, the important part of that–beyond what we talked about in the previous articles–was the snow/water equivalent and the rate in which the snow melted. In many areas, the snow was fairly “wet” and contained a great deal of moisture in it. For every unit of snow that melted, a significant amount of water was released into the surrounding environment. Because most areas saw the snowpack melt rather slowly, much of the water that was released was able to soak straight into the ground, and the prolonged duration of that process allowed a good amount of that moisture to sink deep into the soil structure of the mountainside. …lots of water, deep into the soil structure, meant PLENTY of water available for plants to use over a prolonged period once the warm rays of the summer sun cranked up the engine of production! While some areas saw all that happen “late,” once things did start cranking, the amount of forage production was incredible. What a difference a year can make; a look at the same slopes (at slightly different angles) during the same week of July in 2011 (top) and 2012 (bottom). In 2011, too much snow kept deer and elk out until early to mid-August. In 2012, lack of moisture has the entire basin so dry that very little high quality forage is available for deer and elk that want to utilize the area; the brown slopes and ridges aren’t dirt and rock–they’re simply covered with brown, dead/dormant grass and alpine tundra that in normal years should be a blanket of bright green. Contrast that with 2012. For most of us, we had significantly less snow than “normal,” and in many areas, the snow we did have was relatively “dry”–meaning the snow/water equivalent was low, and that there wasn’t a lot of moisture in each unit of snow that melted. Compound that with the fact that we had an abnormally “warm” spring that melted most of our snowpack in a matter of days and weeks, as opposed to weeks and months, and most of us were left with mountains that were “high and dry” well before “normal.” …little moisture to begin with, with a rapid runoff that doesn’t allow much time for a deep soaking, and you end up with only a low- to moderate-level of soil moisture available for plants to pull from. Continue into a warm, dry period, and you end up with a scenario where the cool-season plants exhaust most – if not all – of the available soil moisture in short order, leaving very little for use later on. What do I mean by “cool-season” plants? Without going into an in-depth botany lesson, some plants are adapted to grow during cooler weather, and when water is more plentiful, and go dormant or “die off” when temperatures get warm, and water becomes a little more scarce. Often times these plants are the first ones to “green-up” in the spring, but turn “brown” when the summer heat picks up, or soil moisture starts to dry out. While most will green back up if adequate moisture becomes available, they “flower” and do the bulk of their growing in late-spring and early summer. …most high country plants are cool-season species. Cool-season grasses and forbs stay green and growing so long as soil moisture stays adequate. Taken in mid-June 2012, initial forage quality and quantity in this area was looking good, but with several more weeks of summer to go, how long things would stay green was anybody’s guess. Because of their growth characteristics, in years like this where initial soil moisture conditions start out relatively dry, many cool-season plants will undergo a somewhat “accelerated” growth and development, wherein they’ll “green-up” but put up minimal “vegetative” growth, and almost immediately flower and go to seed. Essentially they respond to dry–or drying–conditions by accelerating their entire growth cycle.Once they go to seed, unless they continue to have adequate moisture to their roots, they go dormant, turn brown, and dry up. While deer and elk can definitely capitalize on the early growth, subsequent mid- and late-season growth is wholly dependent upon adequate soil moisture, and whether or not the level of moisture is suitable for the needs of the plants that the animals are interested in. No moisture, no growth. No growth, often times means few to no animals. If you take a pitcher of water, and slowly poured water over the top of the “peak” of the sponge, you’d probably see most of the water soak in and saturate it. This isn’t unlike what happens when heavy, wet snowpack starts to melt. As the sponge become saturated, however, water is going to start leaking out of the bottom, and start flowing over the sides as you continue to pour. Your “mountain” is fully saturated. But if we started with the same sponge, and only poured a little water over the top, and stopped short of having water run out the bottom and over the sides (like what you might experience during a light, dry snowpack and associated runoff like many of us saw this year), we’d probably see most of the water soak in and stay suspended inside the sponge. …at least initially. Over time, and especially after sitting in the sun for a while, we’d likely see two things; the top and outside edges of the sponge starting to dry out and get hard (crispy), and water starting to leak out the bottom. In this case, both gravity and solar radiation are working on the water we poured in–one pulling it down and out of the sponge, and one evaporating any moisture off of the surface that it can. Although a real mountain has vegetation sucking water out of it, and animals drinking it as well, what you see in your “sponge mountain” is what you see on the mountain you hunt. The sun–in conjunction with photosynthesis and evapotranspiration–works on pulling water off the top and “surface” areas, while gravity constantly pulls water downhill. While different soil structures and plant communities can affect the rate at which this happens, it nevertheless happens. 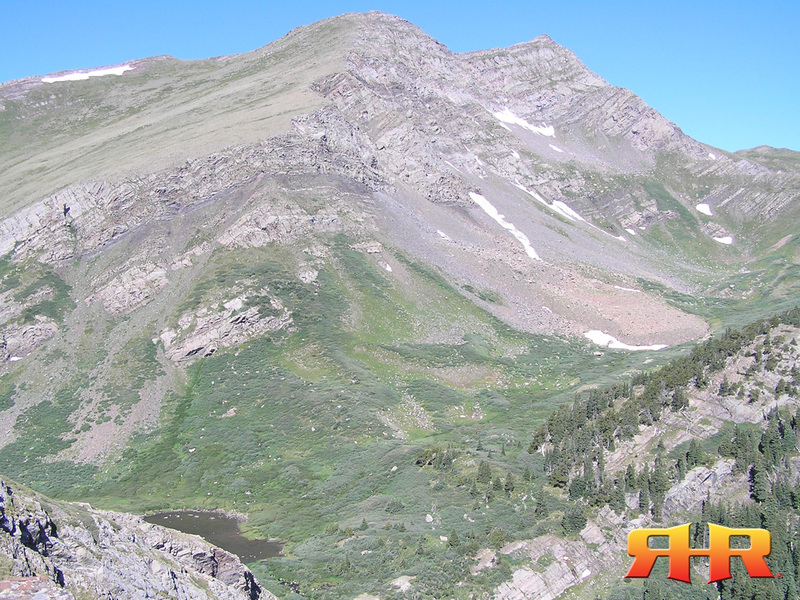 Unfortunately, the tops and “edges” are what typically dry out first; for those hunting the high country that usually means the precise areas in which you want to hunt. If your area receives regular bouts of summer rains, then the “pitcher” keeps adding water to the top, vegetation continues to grow, and animals have lush, high quality forage to enjoy. If it doesn’t, then the top starts to dry out, vegetative growth slows down or stops altogether, and deer and elk head out in search of “wetter” areas. Where is that? …again, think about your sponge. Even when the top and outside edges start drying out, the bottom–usually–stays wet. If we were to cut a slit deep into the side of the sponge, we’d probably see the interior still fairly wet as well. Same thing goes for a mountain. Often times, when the high country starts to dry out, lower elevation areas hold water a little longer, as do some of the drainages, swales, low spots, “cuts,” etc. that are scattered across the terrain. Put those things on the “shady” “cool” side of the mountain (north and northeast faces), and they’ll hold water even longer. The results of no snowpack this past spring, and a lack of summer moisture during the summer. Brown areas are actually dead/dormant grass, not dirt and rock. In “normal” years, this entire mountain is a blanket of deep green similar to the areas you can see in the bottoms of the “swales” next to the willows where the last remaining soil moisture on this particular part of the mountain can be found. Another example of the “sponge” drying out from the top; note the “brown” grassy slopes up high, and the “brighter green” areas in and around the willows toward the bottom of the picture. Being south facing, this entire basin was quickly drying out from a lack of spring snowpack and no rain. Not a single animal was seen in this basin after glassing for several hours after daybreak; in “normal” years, elk can be found in all areas of this photo. Again, more moisture often equals higher quality and quantity of forage, so if the high country starts drying out, it doesn’t take many animals long to “pour down the mountain” just like water and seek out those pockets of “greener pastures.” When faced with low winter snowpack, it can often times be a good idea to investigate lower-elevation areas–especially those on the north and northeast facing slopes–in order to find the small swales, benches, pockets, and “cuts” that might hold moisture a little longer into the summer months. By holding those areas as a “Plan B”, you can often save your hunt should your high country areas–and the animals you find there–turn out to be, shall-we-say, “less than remarkable.” If you don’t find animals, or just not the quality of animals you’re looking for in the high country after a dry spring and an initial start to summer, think about going lower, or around the mountain to the north and northeast facing bowls and basins. This group of cows and calves (that were a part of a group of about 40 animals) were found nearly 2,000 feet lower than “normal” at this time of year in one of several meadows that had a little higher soil moisture, and better forage quality and quantity, than areas higher on the mountain. In the previous sentence, I said “initial start to summer.” While initial conditions aren’t necessarily what they’ll be like later on depending on summer rains, initial conditions often set the stage for how things will progress throughout the summer into early fall. This is where understanding your individual area, and careful monitoring of your area throughout the summer comes in. In some cases, ample summer moisture can “make up” for a low snowpack; cool-season grasses go through their initial growth cycle in spring, but then continue to grow and stay green as summer rains keep soil moisture high enough for them to take advantage of it. 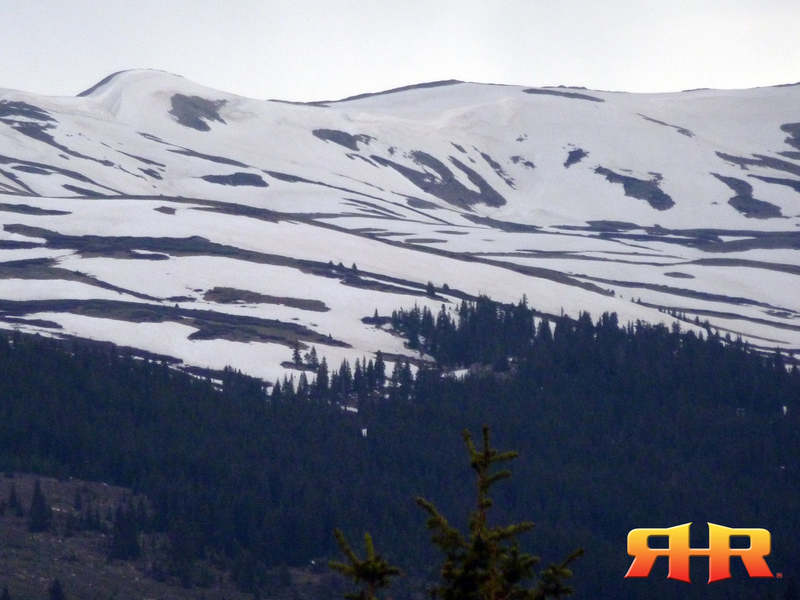 In other areas, and depending on the timing and amount of the summer moisture, the initial “damage done” by the lack of adequate snowpack can last through the entire season. For many of us across the Rocky Mountains, our summer rains are dependent upon the monsoonal flow of moisture coming out of the Gulf of Mexico. Without the monsoon flow, we see very little summer moisture. With it, some of us see plenty of moisture. Some. The problem with the monsoons is that often times the moisture comes in the form of thunderstorms and pockets of rain, as opposed to large blankets of rain showers and overall rainy weather. 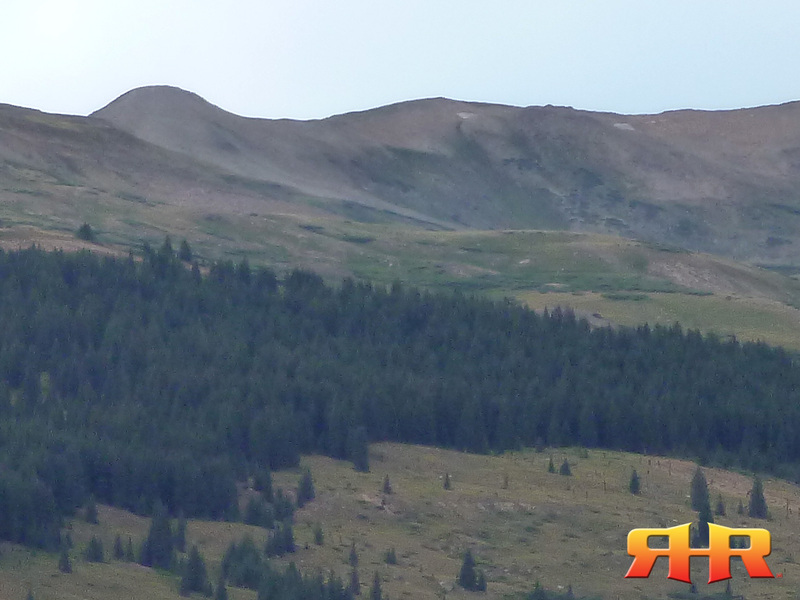 While one mountain or ridgeline may see multiple inches of rain in a matter of days, an adjacent mountain or ridge may see nothing more than a trace. 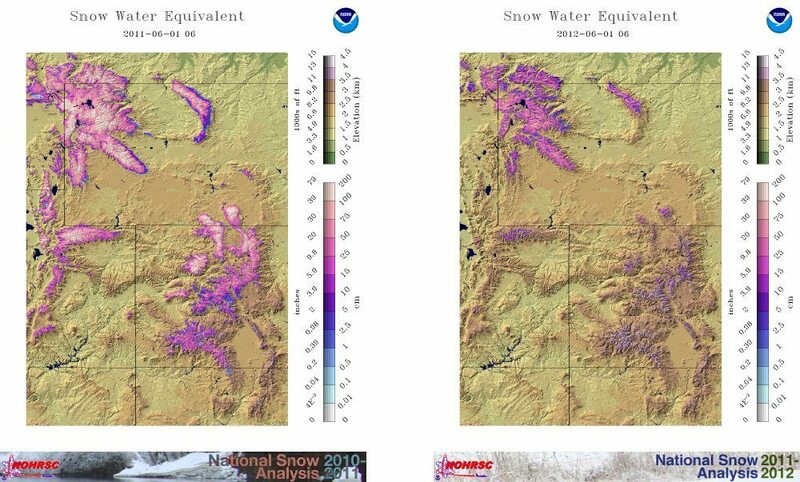 This is where–again–initial conditions from last winter’s snowpack become important. 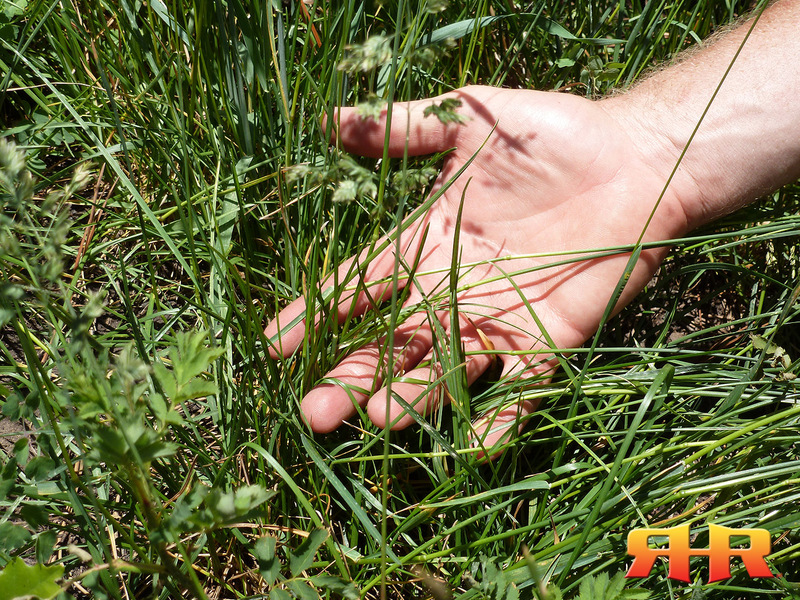 In years where you have ample–even average–snowpack, any rain received in the summer, whether a little or a lot, can provide a boost to the vegetation growing in the high country, and help to keep quality and quantity of forage high. In years with below-average snowpack, however, sometimes the only areas to see any vegetative recovery are those areas that receive a LOT of summer rain. Again, cool-season plants will “green-up” again in the presence of ample moisture, but unless there is enough moisture, they won’t crawl out of the proverbial “hole” that the lack of initial snowpack dug them into. This is where careful, and focused, monitoring of your hunting area comes in. While putting “boots on the ground” is often best, at the very least regularly monitor local weather stations, or the NOAA website and their radar data, to follow what’s going on in your area. Is your high country unit, or even just the mountain–and basin–you want to hunt, getting any rain? If so, how much? How often? Just because the “area” is getting rain, is your ridge? Remember, deer and elk will readily seek out greener pastures; repeated rain on an adjacent ridge, or in an adjacent basin, can kick the production of cool-season grasses and forbs over there back into high gear, and pull the animal(s) you’re looking for across entire mountain sides. If you’re hunting on the edge of a draw unit, you may have “your” animals completely leaving the unit you can hunt if summer rains pound the adjacent unit but leave yours high and dry! – Beyond normal “behavioral” and “seasonal” movements, where you found animals earlier this summer may not be where they are now depending on the rain your area has–or hasn’t–received. – Continued dry conditions in your area may cause animals to move out of the areas they were previously in (and where you may have found them earlier in the summer) in search of “greener pastures.” Identify those potential areas–those “greener pastures”–and look there if the animal(s) you found earlier in the season seem(s) to have disappeared on you. – Lots of summer rain in a localized area can overcome a dry spring, and can pull animals into it due to the resulting “bump” in forage quality and quantity. – A little rain in your area may provide for a temporary spike in soil moisture, but dry soils under/deeper will pull moisture down and disperse it. You might see a temporary spike in vegetation quality/quantity, but don’t dismiss the lower elevation “Plan B” areas–deer and elk may head right back there after things start drying out again, if they leave at all. 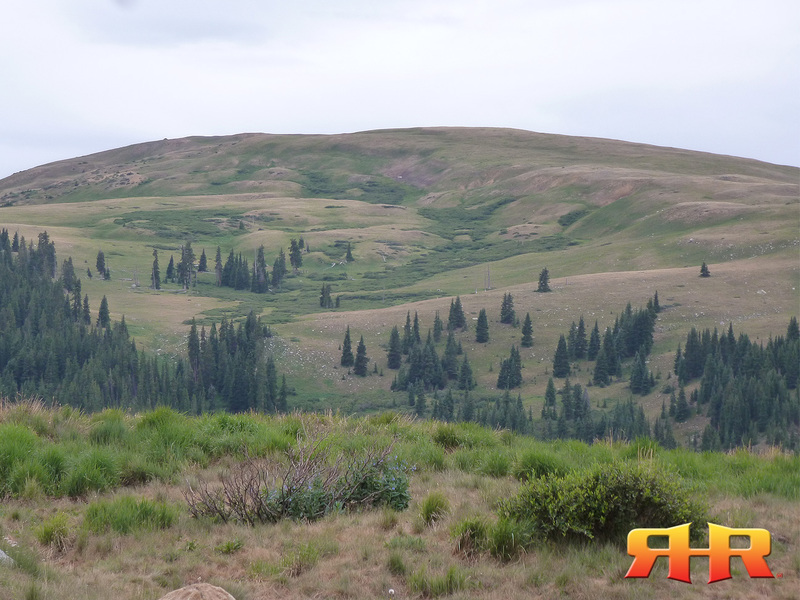 – For you high country deer hunters, willows like moderate to high moisture areas. With adequate soil moisture, they’ll have good growth, and be highly palatable and of high quality. In dry conditions, not so much; they’ll still be “good,” but they may not be great. Look for willows in avalanche chutes, low spots, north/northeast bowls/drainages, and other potentially “wet” areas to find the higher quality willow patches. Find those, and you’ll likely find the deer–and likely the higher quality animals. – Beyond vegetation issues, little to no rain can leave areas dry, focusing animals into tighter areas adjacent to any remaining water. 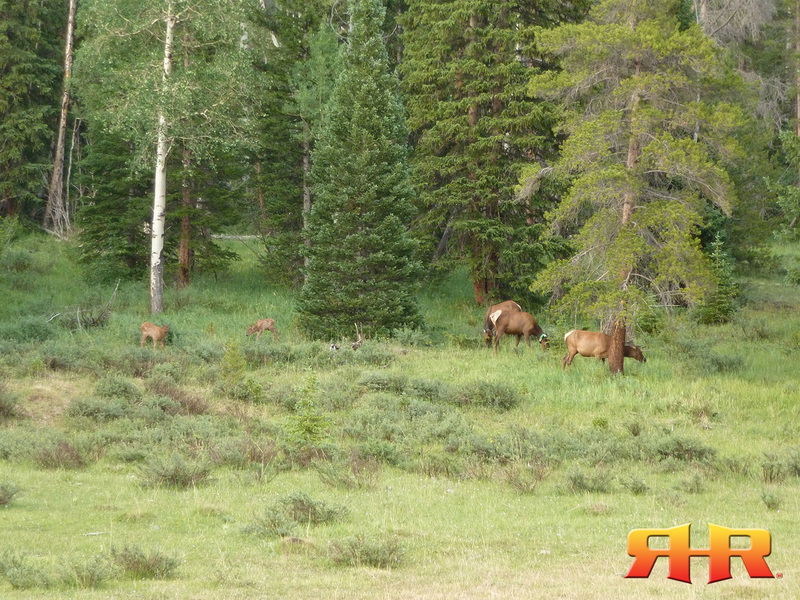 Find the water, find the animals–especially you elk hunters! – Lots of rain over an extended period can start springs flowing again and fill every bog, puddle, wallow, etc. and allow animals to scatter across the landscape. If you focused on “pockets” of water early (and set game cameras, tree-stands, blinds, etc. ), you might need to expand your scouting if your area gets a lot of rain. 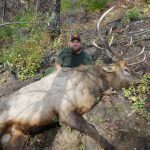 Chris Roe is a Certified Wildlife Biologist, behavioral ecologist, an elk behavior and vocalization specialist, and a passionate elk hunter based out of north-central Colorado. Chris operates Roe Hunting Resources where he offers advanced online educational resources for hunters interested in learning more about the animals they’re after. Concepts discussed in this article and many others can be found in Roe Hunting Resources’ Elk Module, or in The Elk Hunter’s Strategy App available through the App Store or the Android Market.